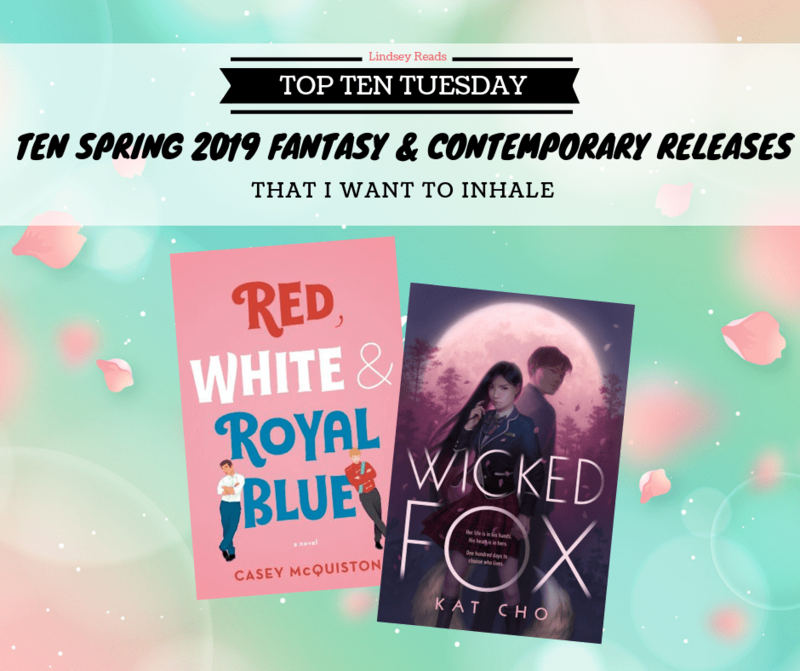 Welcome to a new Top Ten Tuesday! What is this? Lindsey is back with a new Top Ten Tuesday? That’s right, I’m baaack! After having spent all my free time for the past 6 or so months on our home renovations and moving, I am happy to say I have finally moved and am settled in, and though not everything is done yet, I do really hope to be able to get back to a regular blogging routine now. AND reading routine, because I MISS BOOKS! Luckily, there are SO MANY glorious spring releases to get me excited and respark that reading love. Here are the ten upcoming releases I’m looking forward to the most!